The Control window includes controls to play, fast forward, rewind, pause, and stop playback. There are separate controls to start, stop, and pause recording. The three faders adjust playback volume, balance, and speed. Four real-time visuals are displayed. Over a dozen different visuals are included. 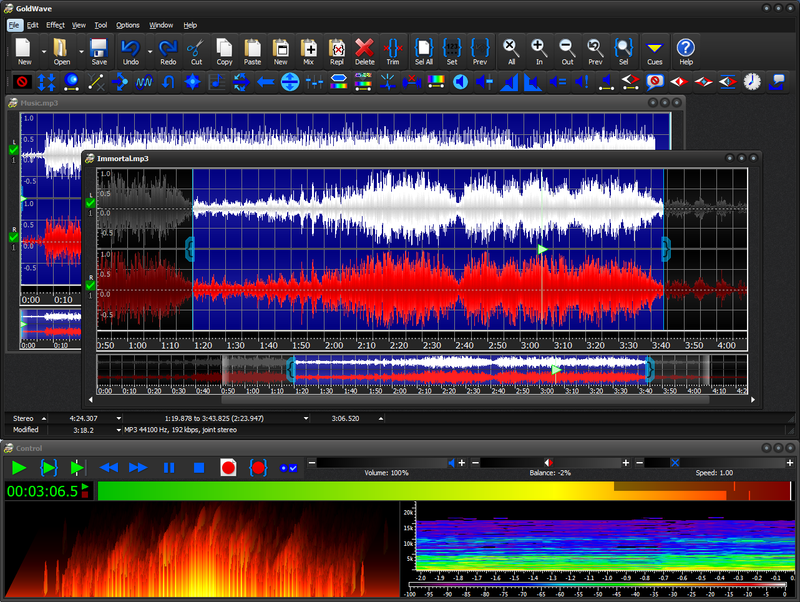 A visual plug-in interface allows other developers to easily create new visuals for GoldWave. 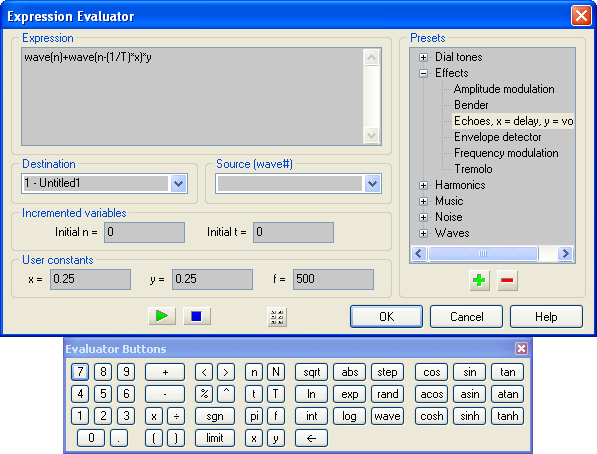 The Control Properties window configures many features of the Control window. 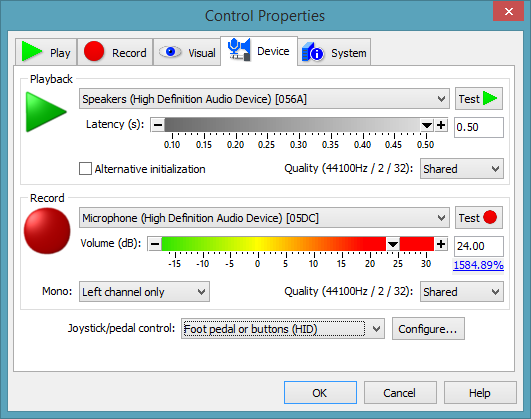 You can select a specific audio device, change playback looping and regions, set a date and time for recording, enable input monitoring, configure the visuals, or set playback and recording devices. 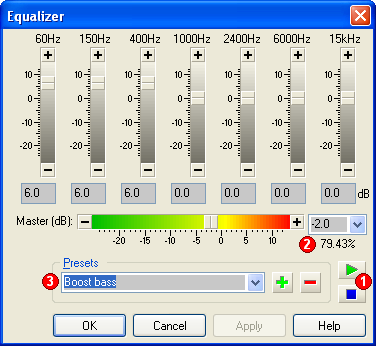 The Equalizer effect is similar to equalizer faders found on stereo systems. Use it to alter treble/bass levels. 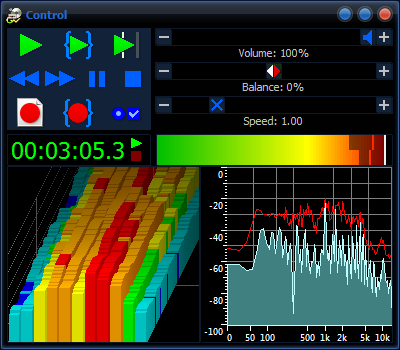 Most effects include preview buttons (1) and preset controls (3). 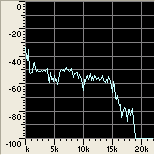 Volume levels are given in dB (2), but also shown in percent for novice users. 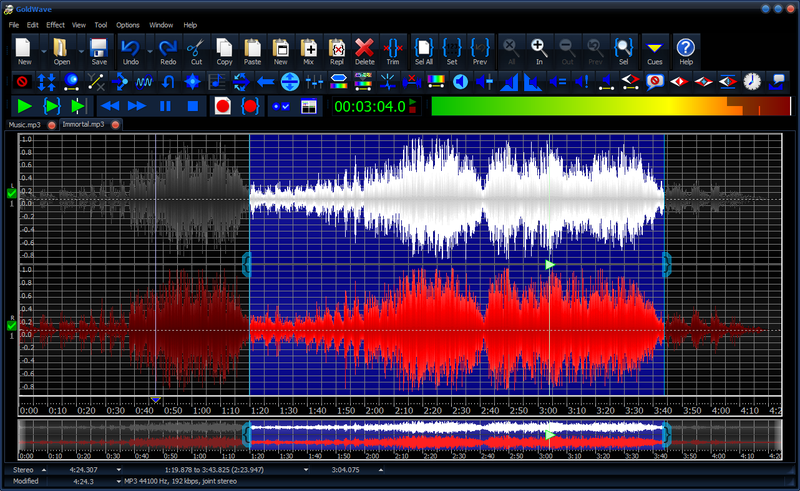 The CD Reader tool allows you to save a set of audio tracks to separate files in mp3, ogg, wma, or other formats. 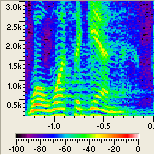 Track titles and ID3 tag information can be retrieved from the www.freedb.org database and stored in the files automatically. 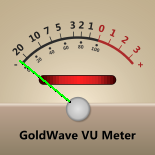 The effect plug-in interface allows other developers to add effects to GoldWave. 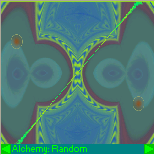 A DirectX plug-in wrapper is included. 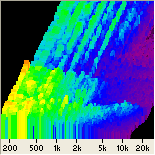 General expressions for sine, triangle, and square waves are already provided, plus expressions for dial tones, effects, and noises. 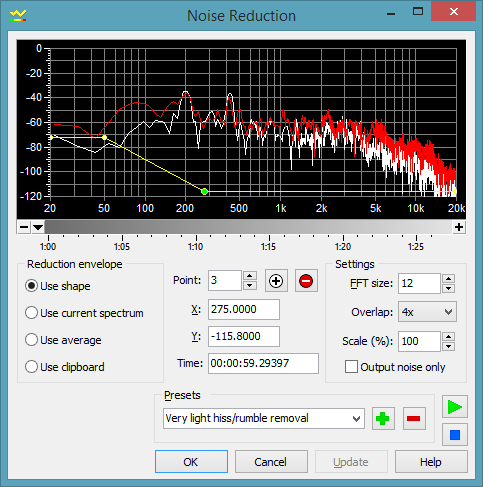 Use the Noise Reduction filter to remove continuous noises, such as a hiss or a hum from a sound. 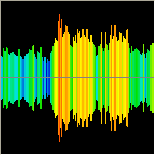 The reduction envelope can be created manually or calculated automatically from any point within the sound or from clipboard audio. 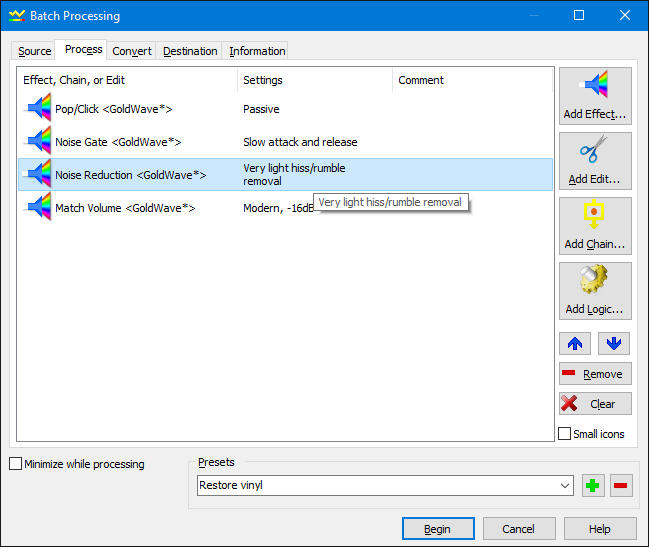 The Batch Processing features converts files to a wide variety of formats and applies effects and editing commands. 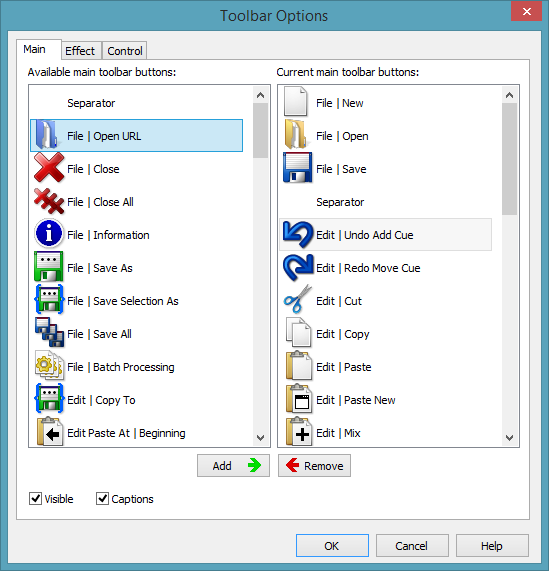 Use the Toolbar Options to add, remove, and rearrange tool bars buttons. 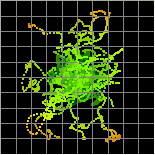 Use the Effect Chain Editor to process a series of effects in a single pass. 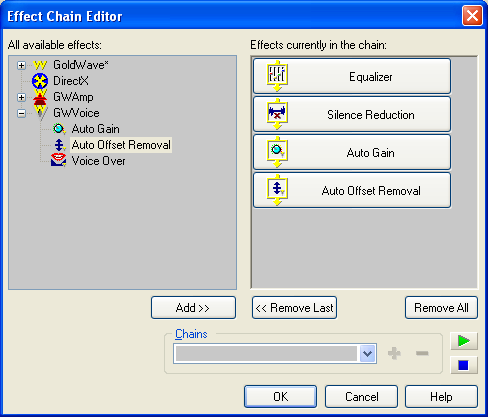 Effect chains can save a significant amount of processing time compared to processing each effect separately. 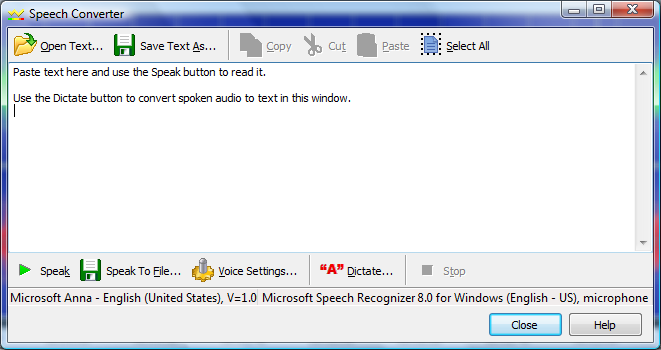 Use the Speech Converter tool to convert text to spoken audio or convert spoken audio to text. 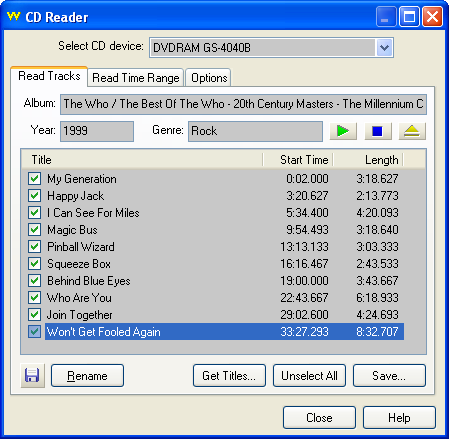 Quickly convert books or websites directly into audio files, then copy the files to a portable audio player to listen to later.